Along with the high-wage rule, automakers must prove that the steel and aluminum in their vehicles are manufactured in the region to qualify for duty-free status. 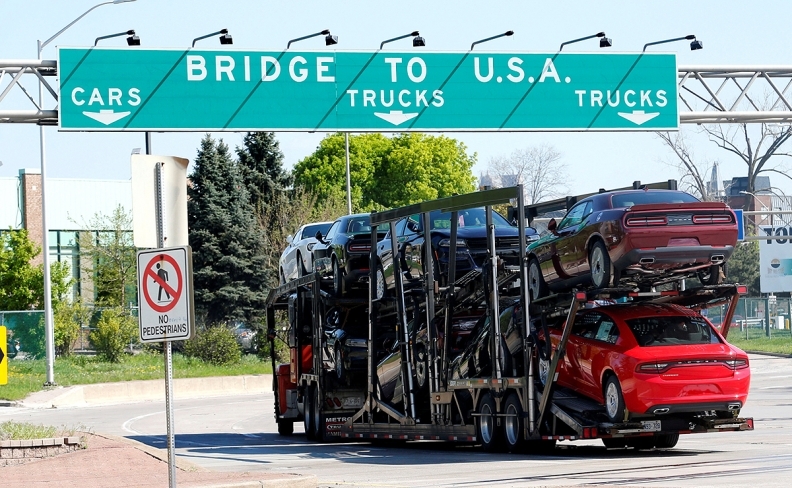 The North American auto industry will likely lose global market share under the new trilateral trade agreement reached by Canada, Mexico and the United States, warns Scotiabank Economics. While the financial institution says the United States-Mexico-Canada Agreement (USMCA) gives Canada short-term relief by way of eliminating uncertainty, paving the way for new investment, it erodes the competitiveness of the auto industry across the entire continent. Under the new pact, the trio of countries agreed to increase the regional content share requirement in light vehicles to 75 per cent from 62.5 per cent —under a four-year phase-in period beginning in 2020. They also incorporated a clause in the new deal that mandates that 40 per cent of the value of a vehicle traded within the region must originate from factories where the average wage is US$16 per hour. Since employees in the Mexican auto manufacturing sector earn, on average, around USD $3 an hour, certain auto producers in Mexico will require a greater share of U.S. or Canadian auto parts. Along with the high-wage rule, automakers must prove that the steel and aluminum in their vehicles are manufactured in the region to qualify for duty-free status. Automakers also must show that core components such as the engine, transmission, suspension, axles, chassis, steering system and batteries meet the 75-per-cent regional requirement. The impact "will be different for each automaker, and even for each model," said Manuel Padrón, an auto sector specialist at the law firm Baker & McKenzie. Scotiabank also says metal tariffs — 10 per cent on aluminum and 25 per cent on steel — are hurting the auto industry and will continue to do so if they aren’t lifted by U.S. President Donald Trump. Some U.S. automakers have already noted an erosion in profits stemming from the so-called “national security” metals tariffs. Ford, the second largest automaker in the U.S., has claimed the tariffs have cost the company around US$1 billion in profits. Scotiabank notes an increase in the cost of metal in the automotive supply chain this year. While prices for electronic equipment in autos have climbed by 0.6 per cent since December, those of motor vehicle bodies and trailers, made mainly of steel and aluminum, have increased by 3.4 per cent during the same period, the report said. The metal tariffs have also led some Canadian auto dealers to put multimillion-dollar construction projects on hold because the cost of steel is on the rise. If the USMCA is ratified, the new rules will take effect Jan. 1, 2020, and be phased in. Automakers will have three years to adjust their supply chains to meet the new targets, with a possible two-year extension. NAFTA will remain in effect until the new agreement is ratified and phased in.